Melbourne is famous for its English elms (Ulmus procera) and is really lucky compared to Europe and America as we still have them intact. It is one of the few places in the world you can still see avenues and stands of these magnificent trees, which were once common across the UK, Europe, and northern America but are now limited in those countries to a handful of remnant and isolated trees due to Dutch Elm Disease. 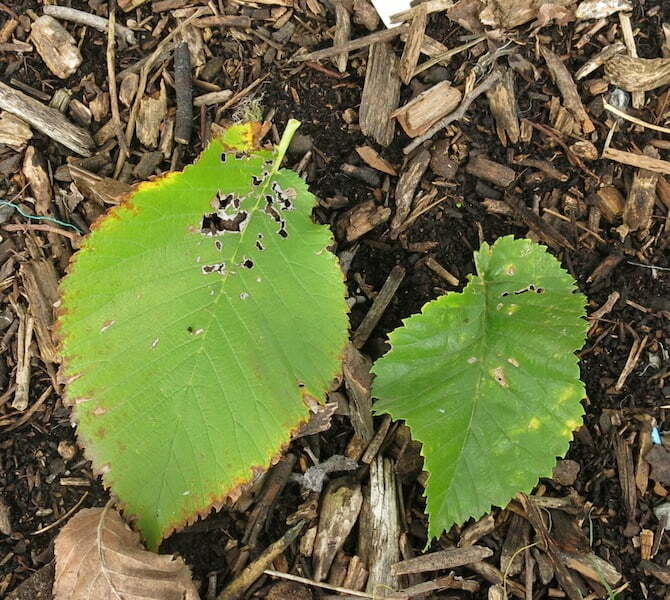 True we do get the elm leaf beetle and the elm bark beetle which spreads the Dutch Elm Disease but so far we haven’t had an outbreak of this fungal disease. Unfortunately New Zealand has, which is getting a bit too close for comfort. I remember way back in the 1980s if you drive through Frankston (south of Melbourne and the gateway to the Mornington Peninsular) just as you approach the city centre there was a sign warning people that the ‘Elm leaf beetle hitch-hikes’. The beetle wasn’t in Melbourne back then, but it definitely is now. 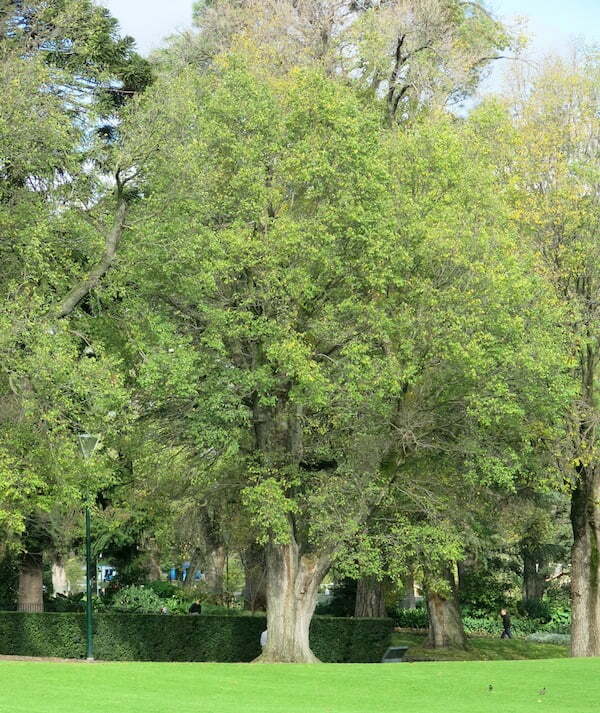 According to the City of Melbourne, they manage approximately 6,000 elms, which include avenues of elms, specimens in our parks and gardens, and street trees. 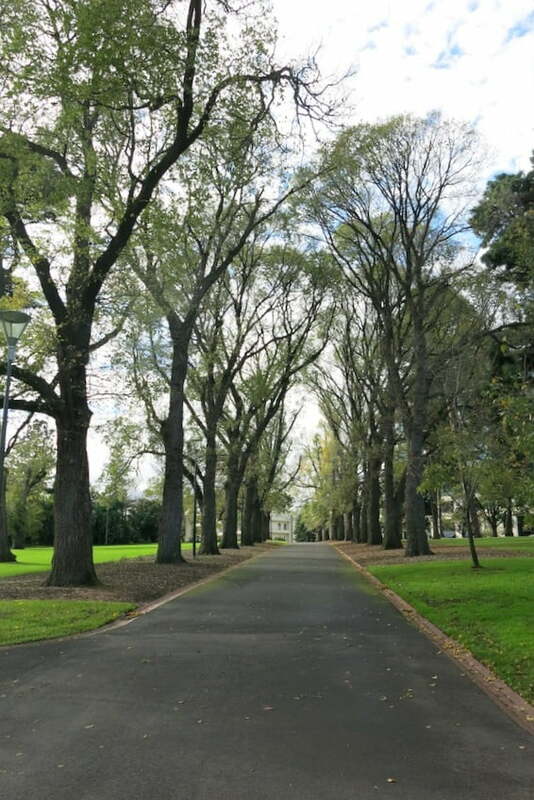 Most of Melbourne’s elms were planted in the middle to late 1800s. The earliest I know of is Arthur’s Elms (John Arthur was the first curator), planted in 1846 in the Royal Botanic Gardens, Melbourne. We know they came from his nursery but we don’t know where he sourced the seeds from. Melbourne’s English Elms are aging and due to drought, poor pruning practices and other environmental stresses many of them are declining. 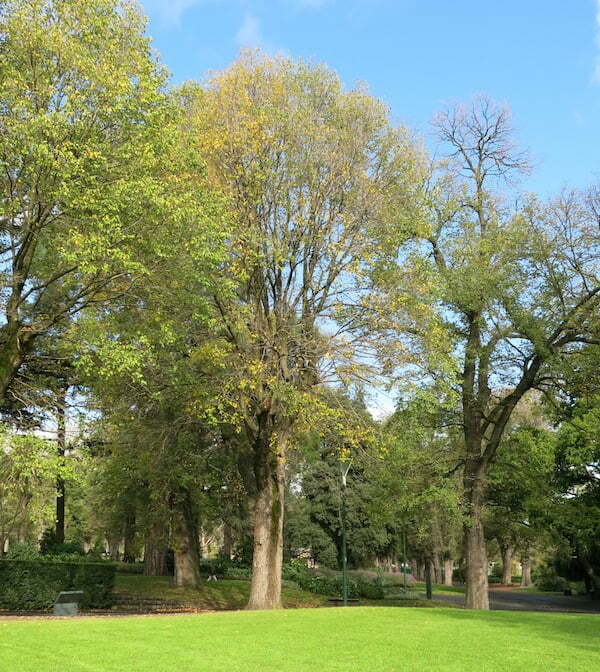 We Melbournians love our elms, and as the City of Melbourne manages so many they have set up a trial to try and find out more about their genetic diversity and where it is located. What they don’t know is how diverse the genetic make-up is. If they are similar, then the planners don’t need to worry about maintaining the genetic gene pool because they are basically all the same (clones) but may have to introduce new cultivars to increase the Elm’s diversity to protect against large scale population losses. 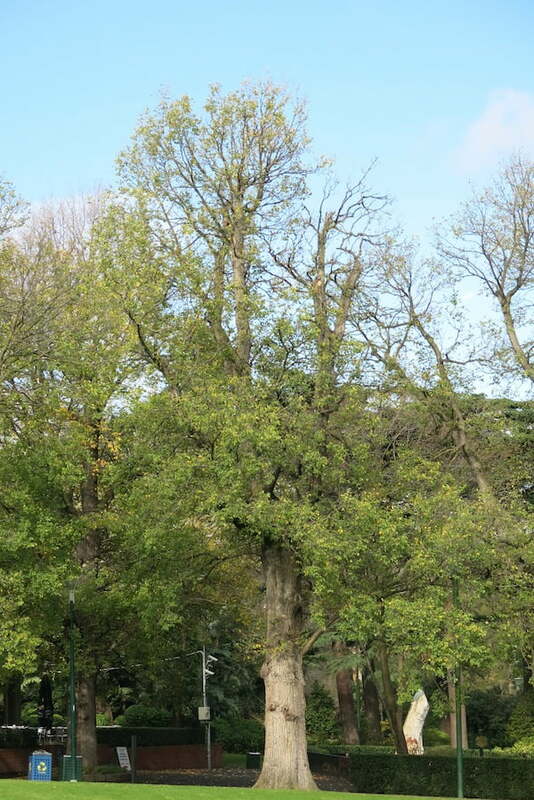 If the trial reveals there is genetic diversity, then it needs to be maintained because it will help protect the elms against attack by pests and diseases and the ravages of stress in an urban environment. In this case the City of Melbourne will propagate from the existing trees and replant them into our parks and gardens. 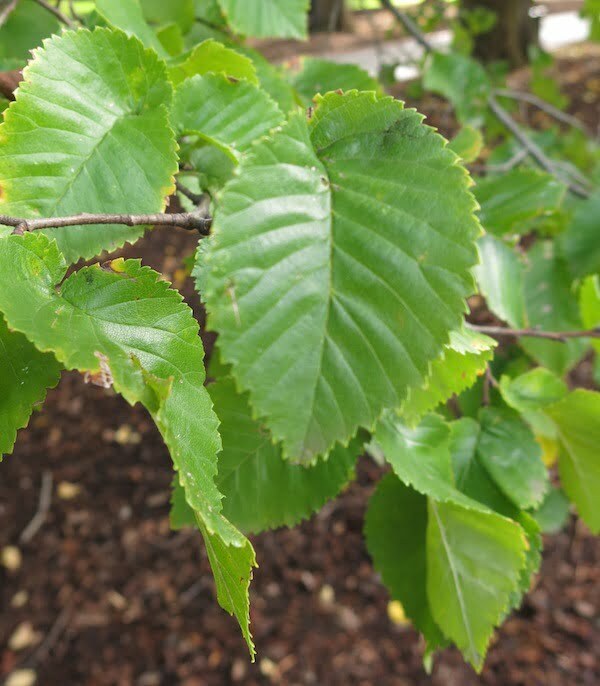 The council has been working with the community and have organised a group of volunteers called Citizen Foresters to help identify and collect elm leaves in the Fitzroy Gardens. I went along and learnt a lot about identifying elms. Gosh, have I been walking around all this time and not noticed the differences? Yes. It was a really great morning. First, Amelia and David (one the City of Melbourne’s arborists) taught us how to distinguish the different elms features. 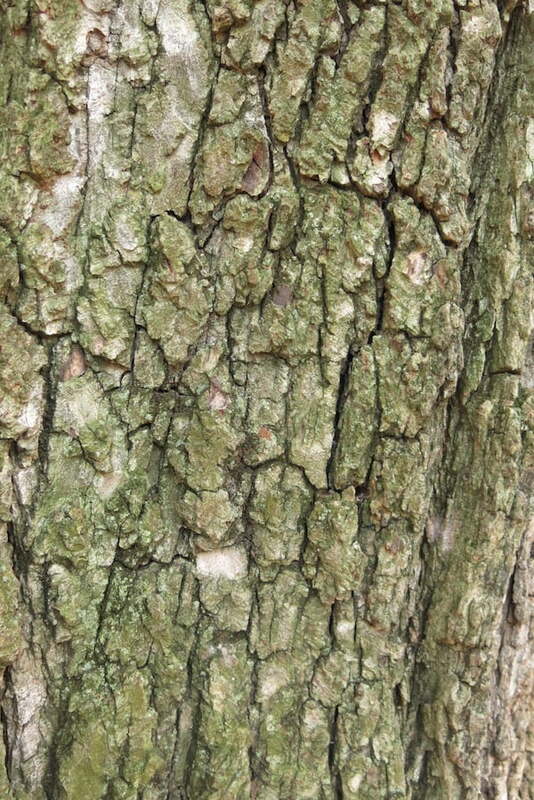 It seems that a lot of what we think are English Elms are actually Dutch Elms, that is Ulmus x hollandica. 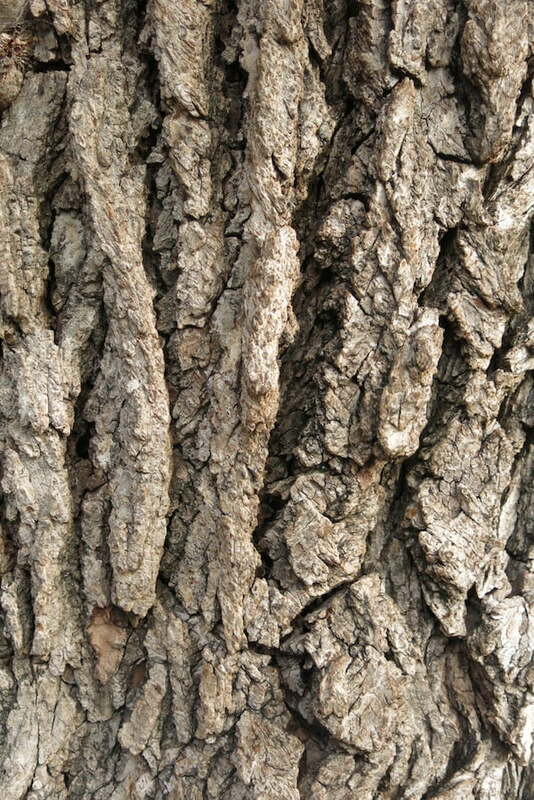 English elms have a denser, darker crown, the leaves are smaller, rough and rounded, and it has darker bark and deeper fissures. Usually, there not more than 12 veins in the leaf. 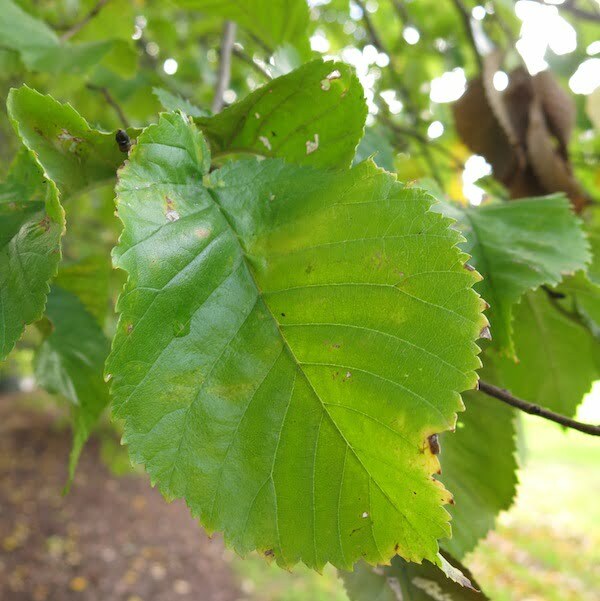 Dutch Elms have a more open crown, and smooth and bigger leaves, with a longer leaf tip than English Elms, lighter bark and shallower fissures. Veins usually exceed 12 in a leaf. We broke up into groups and chose an avenue of trees (Fitzroy Gardens has a number of avenues of elms trees) and started to practise our identification skills. The avenue my group looked at was mostly English Elms but when we came to the Dutch elms we weren’t as confident as there are cultivars, just to put the spoke in the wheel for a beginner. We pruned off a leaf, identified on the bag which tree it was from (there was a labelling system) and then popped the leaf into the good old resealable Glad bag and indicated on the map which tree we had taken the leaf from. When the City of Melbourne has the answers to how much genetic diversity there is and where it is located, they will be able to initiate a propagation strategy which will ensure the genetic identify is maintained and is represented in the future Elm tree generations planted in Melbourne. Council has recruited Citizen Foresters to assist with this and other urban forest projects. More than 200 samples have been collected by Citizen Foresters to date. If you would like to find out more or get involved, log onto the City of Melbourne’s Urban Forest. What’s eating my lilly pilly? Sandi was a horticultural advisor to ABC TV’s Gardening Australia and has 21 years experience. She is a regular contributor to Vasili’s Good Gardening and Your Vegie Patch. She has also contributed to the Gardening section of The Age and to the Australian Garden History Society journal over the years. She is a founding member of the Friends of Burnley Gardens and now is volunteer garden co-ordinator for the Friends of La Trobe’s Cottage and is researching what plants were available from 1800 to 1854 to recreate an authentic garden of early Melbourne. Thanks for that Sandi. I’ve learnt a lot more about elms than I knew before. I heard on the radio a couple of weeks ago that when it comes to replanting our city trees that it won’t be done with “like for like”. I had the impression (and have noticed) that there will be a lot more natives planted. Hope not. Can’t beat our elms for stature and seasonal interest. Thanks Sandi – good stuff. It’d be good to know if Melbourne has other species and forms, and how these are travelling. My study tour of Spain in 2005 revealed that U.minor (smooth-leaved elm: the parent of the ‘silver’ or variegated elm) was THE street tree of choice in Valencia: and more than that, a symbol of independence: Franco basically chopped them all down. Needless to say, his demise has meant widespread re-planting and re-claiming of that heritage. Does Melbourne have that species? or others. Clearly some are more resistant / susceptible to DED attack/ vary in their responsiveness. Keep us posted. I have an interest in helping these trees, and hoping to understand how to identify if they are deseased or not. I too remember in my childhood the large avenue of trees in my home town of Wilton in UK that were attacked by DED and decimated. Now I am buying and building in a new development called Tulliallan in the Berwick area in Melbournes outer eastern suburbs. It has a small avenue of Elm trees, and it would be great to know how healthy they are. Or if they need some TLC. I recommend you engage an arborist to come and have a look at the elms. You can try contacting the Shire of Cardinia (I think that is the local council of Berwick) and see if they can send out one of the arbortists. They may not charge to come out but they will charge you if you engage them to do any work on the trees. Or you contact one of your own and you will need to inquire about how they charge. Make sure they are qualified preferably Burnley trained and if they do any work have insurance etc in case of any accidents. Or you can contact Friends of the Elms http://www.friendsoftheelms.com.au and see if they have a list of arborists you can choose from. Thanks for the info. I will look up via friends of the Elms. The development is a private site so I would have to seek permission to go further anyway.